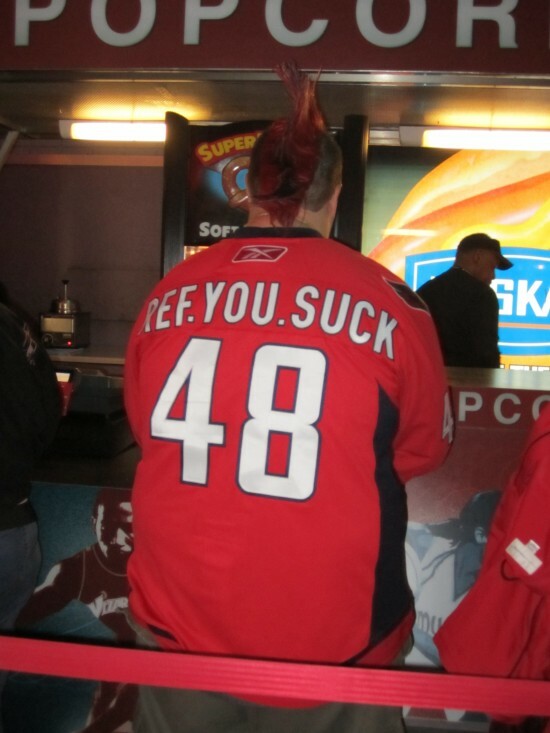 I snapped this shot some time ago, but it’s never too late to pay homage to a guy with such a succinct message. This jersey says “Nothing is ever the fault of my team, or any players thereof.” I like the confidence there. This guy is out for blood. The only thing that gives me pause is that I wonder what the actual odds are of the target seeing the jersey. 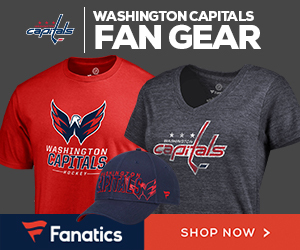 Of all parties – fans, players, coaches, members of the press, Verizon Center staff – actual refs may be the least likely of all parties to see this jersey. Still, here’s to you, mascot of boo-birds everywhere.